Hover over the image to zoom or click for a full size view. You must be at least 18 years old (or of legal age in your country of residence) to view this content. Visit drinkaware.co.uk if you are not old enough. TAX SAVINGS... Please note, if you are shipping outside the European Union, you will only pay the ex-VAT price. This rare Campbeltown single malt was laid to rest at the Springbank distillery in 1980 and bottled by Wm Cadenhead, from single cask number 182, in the early 1990's. 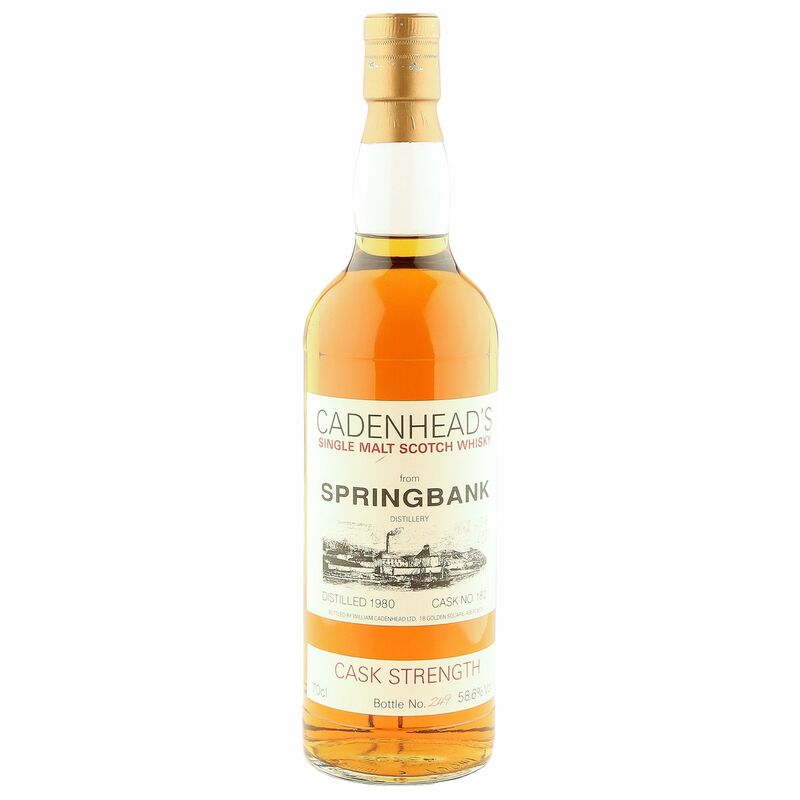 A well kept vintage that was bottled at 58.6% ABV for the fascinating white label Cask Strength series from Cadenhead's.